Handcrafted Quality. Free Shipping with $125 Purchase -- Coupon Code 125FREE at checkout. Here is a hard working little broom with class! 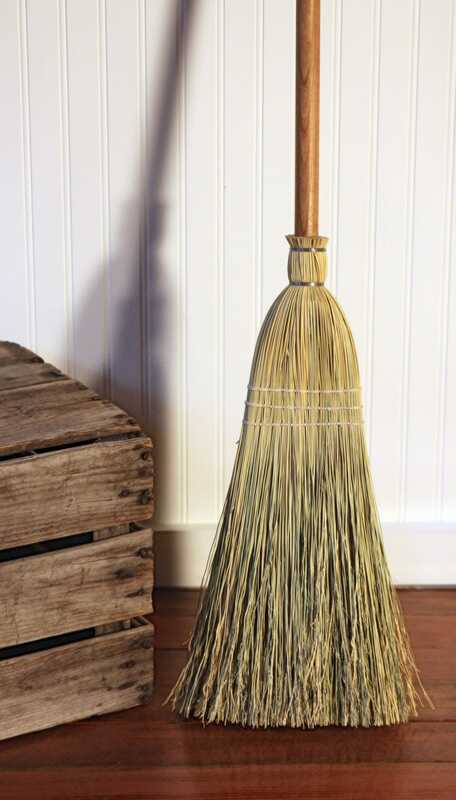 Our Tiny House Broom is designed for small spaces, like cabins, Rv's, and apartments. The broom looks great hanging in the wall, but will also fit small closets. Features a genuine American Cherry hardwood handle, made in our shop. 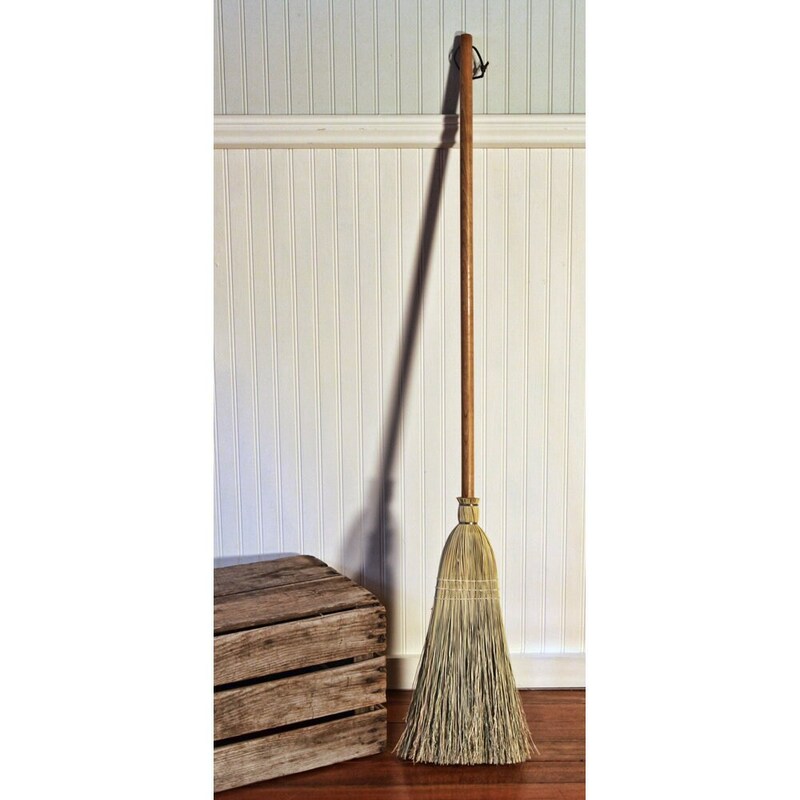 This broom is approximately 49" long, with and 8" wide sweep. Stitched with white waxed linen twine for durability and appearance. A leather loop is provided for hanging. Looks great hanging on the wall, or just as cozy inside a small closet. 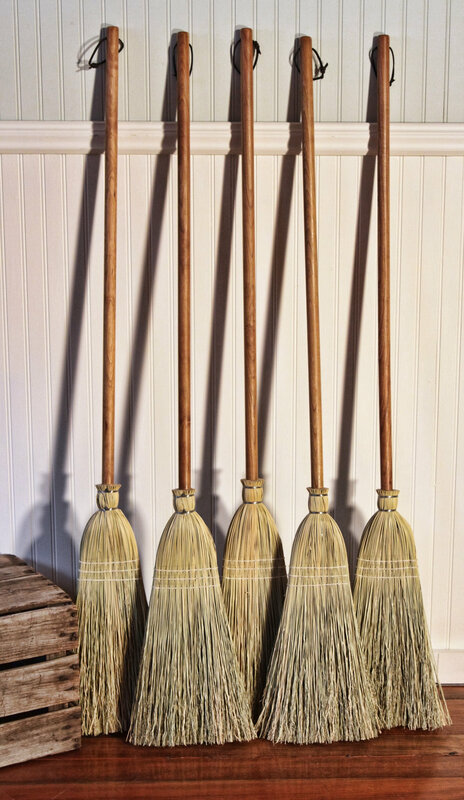 These brooms are made from 100% North American broom corn. Sturdy hardwood handles. The durable sweep is stitched flat by hand with three rows of white linen twine, Perfectly balanced in the hands -- functional and pleasing to the eye.